Beckwith Bolle began her real estate career in 2004 at Coldwell Banker Residential Brokerage. 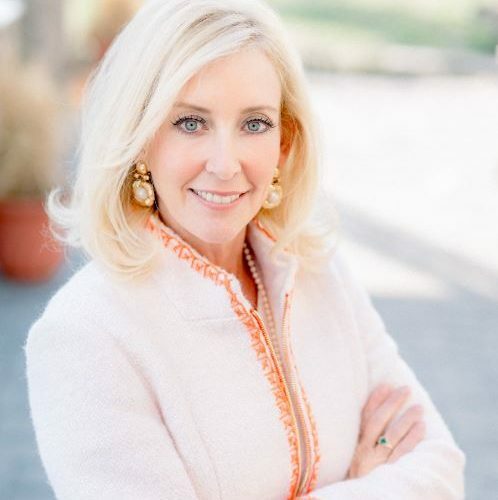 She continued her success by moving to Carter Braxton Real Estate in 2008, earning her broker’s license in 2010 and opening Carter Braxton Preferred Properties in historic downtown Leesburg, Virginia the same year. Beckwith has been actively involved with the Dulles Area Association of REALTORS® (DAAR) since 2004 – serving on and chairing the Governmental Affairs Committee, and the RPAC Committee, as well as the DAAR Board of Directors where she served as the President of the Board in 2013. She has won several awards from DAAR including 2010 REALTOR® of the Year, Community Service Award, and was inducted into the DAAR Honor Society. She has served on the Virginia REALTORS® Board of Directors since 2014, most recently as the 2018 President-Elect and 2017 Vice President. Her state committee involvement includes being a member of the Public Policy Committee, Legislative Bill Review Committee, Investment Management Committee, the Strategic Planning Task Force, and as Chair of the 2018 Bylaws Review Committee. Her deep interest in advocating for property rights has led her to be involved as a Federal Political Coordinator (FPC) member, and to serve every year since 2014 in some capacity on multiple RPAC committees, workgroups and forums. Beckwith has expanded her service to the National Association of REALTORS® (NAR), serving on the Housing Opportunity Committee, RPAC Major Investor Council, Meeting and Conference Committee, and the NAR Board of Directors. Active in her community, Beckwith served as a member of the Loudoun County Chesapeake Bay Stakeholders Group and has been greatly involved on the Board of Directors of the Ashburn Soccer Club where she served as their president for four years. She has also coached competitive gymnastics for twenty-eight years. A long-time resident of Loudoun County, Beckwith currently resides in Leesburg. Kemper was recognized by his peers as the local REALTOR® of the Year in 2009, having served as President of the Harrisonburg-Rockingham Association of REALTORS® (HRAR). He has served his local association over the years as Vice President, Director, and as Chair of the Legislative & Political Affairs Committee. A member of the Virginia REALTORS® Board of Directors since 2011, and most recently as the 2018 Vice President, Kemper has also served on numerous state committees throughout the years, including serving as Chair of the Risk Management Committee in 2010, and Chair of the Strategy Committee of the BOD in 2016. 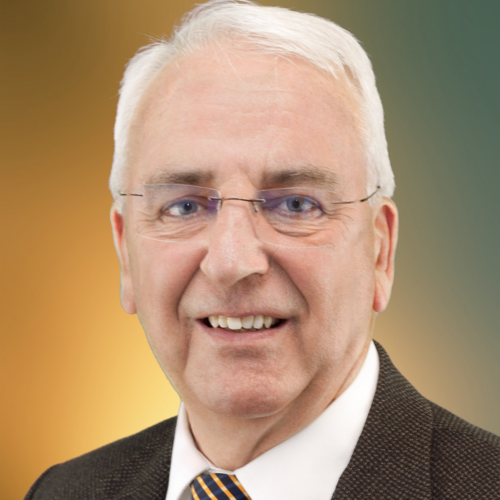 He currently serves as Chair of the Policy and Procedures Manual Review Workgroup and was a key member of the Bylaws Review Committee in 2018. In addition, Kemper is a graduate of the 2006 Virginia REALTORS® Leadership Academy and was the recipient of the Virginia REALTORS® Code of Ethics Leadership Award in 2014. Since 2004, Kemper has served at the National level (NAR) on a variety of committees, sub-committees and advisory boards. He is a Past Chair of NAR’s Professional Standards Committee and has been a member of the Strategic Planning Committee, Real Property Valuation Committee, Business Issues Committee, and the Professional Standards Interpretations and Procedures Advisory Board. He is also a graduate of the 2008 National Association of REALTORS® Leadership Academy. Kemper has a Master of Business Administration degree from James Madison University and Bachelor of Business Administration in Finance from James Madison University. He is also a certified instructor of REALTOR® Ethics and an adjunct professor of real estate at James Madison University. Kemper lives in Harrisonburg with his wife Ashleigh, son Peyton and daughter Alexandra. In his spare time, he enjoys playing golf with his son and traveling with his family. Over the years, she has served at her local association in numerous capacities including Director on the NRVAR Board, Secretary/Treasurer, RPAC Chair, and member of the NRVAR Governmental Affairs Committee. Beth received the NRVAR 2008 REALTOR® of the Year and is a three-time recipient of the NRVAR President’s Appreciation Award. 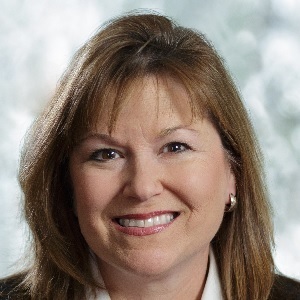 A member of the Virginia REALTORS® Board of Directors since 2016, Beth has served as Chair for the RPAC of Virginia Trustees, Virginia Leadership Academy, and the Public Policy Committee. 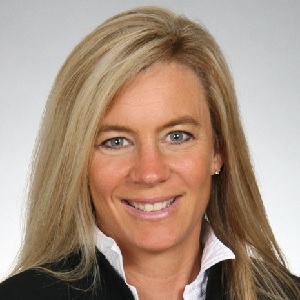 She has been an active participant on many committees including the Strategy Committee of the Board of Directors, Investment Management Committee, RPAC Fundraising and Broker Involvement Workgroup, and Virginia FPC Forum. In addition, Beth was chosen Virginia Manager of the Year (2015) and is a three-time member of the Virginia REALTORS® Honor Society. Beth’s involvement at the National Level began in 2011 as the FPC to Congressman Morgan Griffith, which continues today. She is deeply committed to RPAC, having served as Vice Chair and then Chair of the RPAC Fundraising Forum, and serving on the Presidential Advisory Group as part of the RPAC State Fundraising Partnership Goal. A graduate of the National Association of REALTORS® Leadership Academy in 2016, Beth has been appointed to serve as a state representative to the NAR REALTOR® Party Member Involvement Committee until 2020. Andrew Nelson is the Associate Broker at Coldwell Banker Traditions in Williamsburg, having relocated to the United States from England in 2002 with a strong background in finance, banking, and human resources. Prior to his career in real estate he was Chief Executive of his human resources consultancy, assessing long term potential in numerous major multi-national companies. A REALTOR® for more than 12 years, Andrew specializes in residential sales, relocation, and international real estate. His many contributions to his company were recognized with membership into Coldwell Banker’s International Diamond Society, a special honor achieved by only the top 11% of all sales associates worldwide in the Coldwell Banker system. 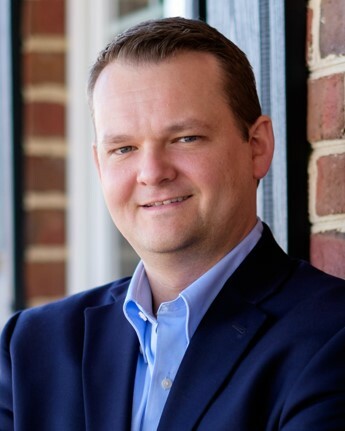 An active member of the Williamsburg Area Association of REALTORS® (WAAR), Andrew has served as a director on the WAAR Board of Directors, then as secretary, president-elect, and its 2014 president. Having also served on the MLS Board, his committee involvement has included Education, Finance, Government Affairs, Grievance, Professional Standards, and serving as RPAC Strategic Planning Chair. In addition to Andrew’s volunteer service with his local association, he has been a member of the Virginia REALTORS® Board of Directors since 2015, served on the Budget Committee of the Board, Awards Selection Committee, and was the Chair of the 2015 Virginia REALTORS® Annual Convention. At the National level, Andrew will serve as a member of the Real Property Valuation Committee in 2019, and last year was a member of the Business Issues Policy Committee. Outside of the REALTOR® industry, Andrew has been an Executive Partner at the William and Mary Raymond A. Mason School of Business since 2005, where he mentors full time MBA students and nearly 100 former senior executives to support them throughout their business careers. He is also a Fellow of the Chartered Institute of Bankers (FCIB) in the UK. Andrew lives in Williamsburg with his wife, Dorothy, where he enjoys being active in his local church, playing a variety of musical instruments, and singing. Jay Mitchell started his real estate career in 2004 with GSH Real Estate, now Berkshire Hathaway HomeServices Towne Realty. A broker since 2009, Jay leads three offices in the oceanfront area of Virginia Beach. He was named GSH Rookie of the Year and has since added to that list: Hampton Roads REALTORS® Association (HRRA) Rookie of the Year; HRRA Rising Star of the Year; HRRA REALTOR Salesperson of the Year and HRRA REALTOR/Broker of the Year. 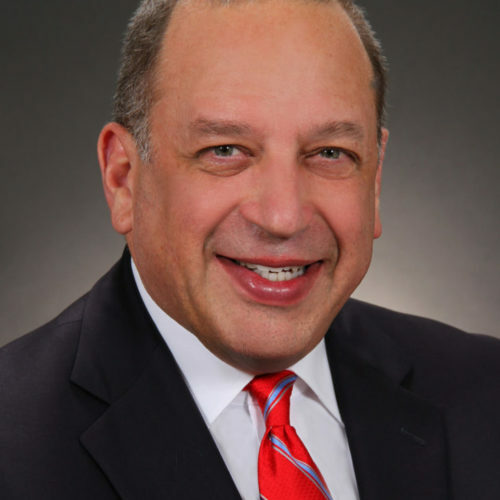 In addition to his duties as a broker, Jay serves as the 2019 Immediate Past President of Virginia REALTORS®, having served as President in 2018, and as a member of the Board of Directors since 2013. He has chaired several Virginia REALTORS® committees, including: Virginia REALTORS® RPAC Trustees; Public Policy and Legislative Bill Review; and Strategic Planning. He also served Virginia REALTORS® as President-Elect and Vice President. Jay is actively involved with numerous National Association of REALTORS® (NAR) committees. He is the 2019 Vice Chair of the Consumer Communications Committee, and has served on Broker Involvement Council; Member Communications Committee and RPAC Participation Council. He also was on the NAR Board of Directors in 2016, 2017 and 2018. A political junkie, Jay leads the NAR Federal Political Coordinator (FPC) team for Virginia’s U.S. Senator Tim Kaine and serves on the FPC team for U.S. Representative Bobby Scott. Previously, he served as the FPC team leader for U.S. Representative Glenn Nye. Jay’s community involvement is clear in his commitment to Rotary International, where he now marks 27 years as a member, a multiple Paul Harris Fellow, and a three-time local president. In addition, he serves or has served with numerous other local non-profit organizations, including Gulfstream Goodwill; HRBOR (Hampton Roads Business Outreach); Virginia Chorale and the Talbot Park Civic League in Norfolk, where he lives. Jay dove into real estate after 24 years in television news, starting at the fledgling CNN in 1981, and working for every major network during his career. He won many newsroom awards along the way, including the coveted Edward R. Murrow Award and Emmy Awards. Jay holds broker licenses in Virginia, North Carolina and Nebraska, and is a graduate of the Virginia REALTORS® Leadership Academy class of 2009. His alma mater is Northwestern University in Evanston, Illinois, and he served several years as president of his state alumni board. Terrie L. Suit was appointed as chief executive officer of the Virginia REALTORS® on September 23, 2013. Terrie’s real estate background began in 1985 as a REALTOR® and later transitioned into a twenty-year mortgage lending career. In 1996, Terrie received a gubernatorial appointment to the Virginia Real Estate Board. Several years later she was elected to the Virginia House of Delegates where she served the 81st District for nearly a decade. During her time as a delegate, Terrie served as chair to the General Laws Committee, the Housing Sub-Committee and the Virginia Housing Commission. As a delegate, Terrie was recognized by legislative peers and constituents as an expert on housing policy to include real estate licensure, common interest communities, landlord tenant issues, real estate finance, foreclosure, and building and fair housing issues. As Virginia REALTORS®’s chief executive officer, Terrie has also served at the National Association of REALTORS® (NAR) level on multiple committees and workgroups. Terrie is a graduate of both Tidewater Community College and Old Dominion University with a Bachelor of Science in Political Science. She completed her Master’s in Business Administration at the University of Mary Washington and earned her Certified Association Executive (CAE) designation from the American Society of Association Executives (ASAE). She most recently earned the Certified International Property Specialist (CIPS) designation in support of the growing global real estate market. Terrie and her husband, Tom, reside in Stafford County.